The perception of electric vehicle (EV) drivers as ‘other people’ is changing fast. Throughout Europe, Asia and North America, an ever-growing number of new car buyers are turning away from the conventional combustion-engine-powered cars and, instead, laying down their hard-earned money on more efficient, environmentally friendly, battery-electric (BEVs) and plug-in hybrid (PHEVs) vehicles. While Australia may be dragging the ‘international chain’ on transitioning to electric vehicles, change is on its way. Overseas trends are often replicated in Australia, so you’ll be well-served by getting your head around the concept of EVs as a central part of mobility planning for your business and your employees. While the numbers have fluctuated in the last decade or so, public support for action on climate change has enjoyed overwhelming support here in Australia. Likewise, surveys conducted overseas also return similar findings. Research carried out by organisations like the Lowy Institute, CSIRO and Climate Institute – along with Australia’s leading universities – continues to show that we believe that action should be taken to reduce our carbon footprint and ensure a cleaner, healthier environment for future generations. While debate rages about how to efficiently reduce emissions, more and more people at the grassroots level are determined to minimise their carbon footprint and, by extension, impact climate change for the better. Given that motor vehicle emissions are one of the biggest contributors to pollution levels and climate change, we’re continuing to see the demand for electric vehicles get stronger and stronger. Sales of battery-electric vehicles (BEVs) and plug-in hybrid vehicles (PHEVs) continues to trend upward around the globe with China and Norway setting new benchmarks in EV sales. 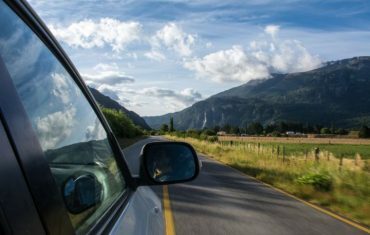 This trend led Macquarie Bank to assert that 2017 could arguably be seen to be the year that “EVs became mainstream”. 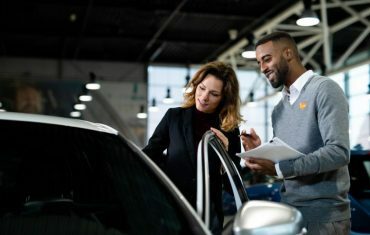 While correlation doesn’t always equate to causation, it is reasonable to suggest environmental concerns are beginning to have an impact on the decisions consumers make when it comes to new vehicle choices. It would be misleading to suggest that EVs are cheaper overall to run in Australia than their combustion engine counterparts. 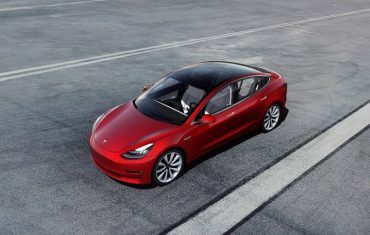 Insurance costs differ, and the lack of infrastructure at present in Australia – recharging points, parts availability and after-sales support, to name just a few – indicate it’s going to be a little while yet before EVs become an option for buyers who make decisions based on running costs. When we turn our eyes internationally, though – where the uptake of EVs, and the infrastructure to support them, is far more advanced than in Australia – it’s hard to deny that EVs give their owners better bang for their buck. For example, a recent study by the University of Michigan’s Transportation Research Institute found the average annual cost of running an EV in the US was USD485, while the cost of running a traditional combustion-powered car came in at an average of USD1,117. In Europe, a study conducted at the University of Leeds, published in the peer-reviewed journal, Applied Energy – found in Japan and the UK, EVs were about 10 percent cheaper to operate than their petrol and diesel-powered counterparts. On a level playing field, it would appear EVs have a significant edge over their opposition in terms of running costs. And who doesn’t want a few extra dollars in their pocket at the end of the week? As is the case in numerous other countries, governments across Australia provide varying levels of subsidies to encourage people to take the leap into the world of EVs. For instance, due to their fuel efficiency, buyers of cars such as Tesla’s Model S and Model X, pay less Luxury Car Tax, helping to make the purchase of EVs more affordable, as well as helping to help reduce Australia’s CO2 emissions. Tesla’s new Roadster model may not be within everyone’s budget but it can more than match some of the world’s best performance vehicles. The Tesla Roadster boasts a blistering zero to 100km per hour in just 2.1 seconds. It has a top speed more than 400km per hour and it is capable of 1,000 kilometres between charges. With a price tag north of AUD300,000, you certainly get what you pay for. At the more, shall we say, realistic end of the scale, the vast majority of EVs available on the market come jam-packed with all the bells and whistles you’ll find in their combustion-engine relatives. The latest driver aids – including traction control, satellite navigation, ABS braking, reversing cameras, cruise control, internal climate controls, air conditioning and the latest in-car entertainment systems – are often standard in new EVs, meaning buyers won’t have to compromise on the creature comforts when doing their part for the environment.